We’re here to serve you 24 hours a day, 7 days a week! When fire, flood or storm damage occurs to your Stone or Taney County residential or commercial property, contact Table Rock Restoration—a restoration company you can trust to get the job done professionally and efficiently, to your expectations; satisfaction guaranteed. Our professionally trained technicians are professional and qualified, making Table Rock Restoration a household name. 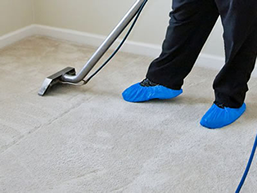 Customers and insurance companies prefer Table Rock Restoration and carpet cleaning services based on our reputation of prompt and professional performance. 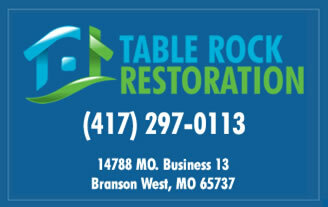 Table Rock Restoration is family owned and operated has been servicing southwest Missouri for over a decade. Since our inception, we have been a leader in Water Damage Restoration and Fire Damage Restoration services and our high level of customer care, standard of service, and professionally organized crews set us apart from the competition. Table Rock Restoration is a fully licensed general contractor and construction company based in Branson West, MO and services the greater Tri-Lakes region. Table Rock Restoration crews are On-Call 24/7 for Your Restoration Emergencies. Contact us anytime, day or night, at (417) 297-0113 to restore your flooded or fire damaged home or office. We offer the best carpet cleaning services in the area. From a single room to an entire house, Table Rock Restoration is the best choice for a professional and affordable carpet cleaning. BOOK YOUR APPOINTMENT NOW!